Features: Maria is the smallest bear in the Bear Forest. On arrival she only weighed 60 kilograms..
History: For twenty-one years Maria lived in a concrete pit in the former breeding station for hunting, ‘Kormisosh, in Bulgaria. 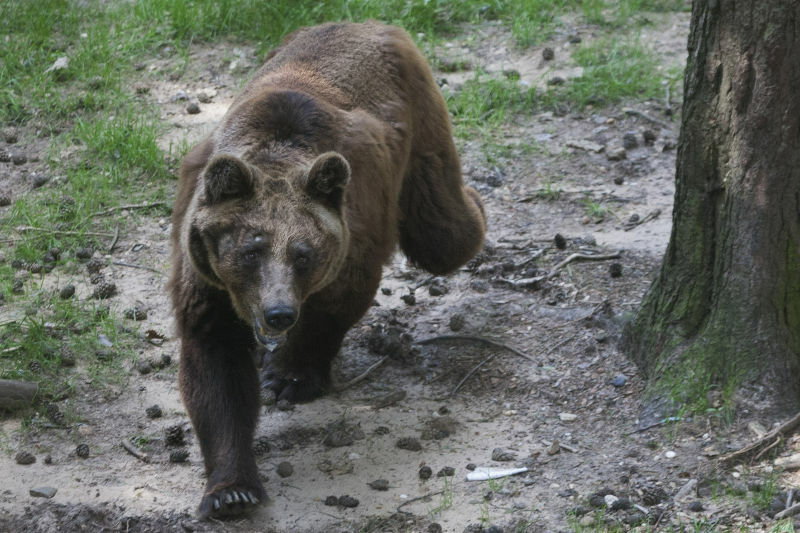 Maria and Pesho arrived at the Bear Forest in May 2014. Special remarks: Maria is very fond of Pesho. At times the two bears are inseparable. Starting 1 July 2018, bear Maria is adopted for another year by Mrs. Anita de Jongh-Buckens!